Home | News | Looking for an easy access home in Cardiff? 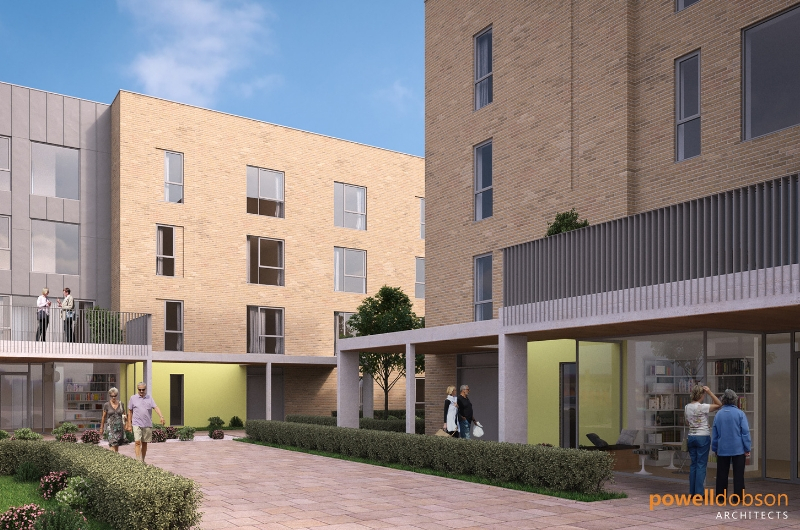 Our new £10million scheme at Pentland Close, Llanishen, Cardiff aims to create 82 new homes for people who require easy access accommodation. 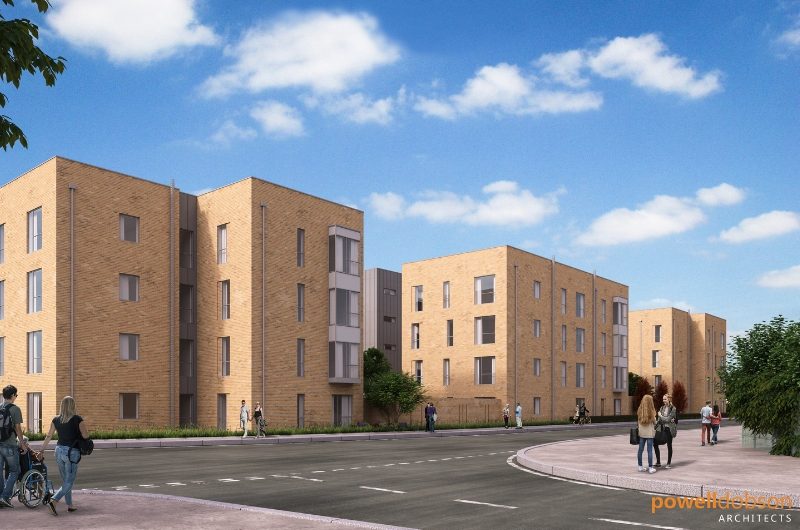 Pentland Close is bringing modern new homes to one of Cardiff’s most popular residential suburbs, Llanishen. 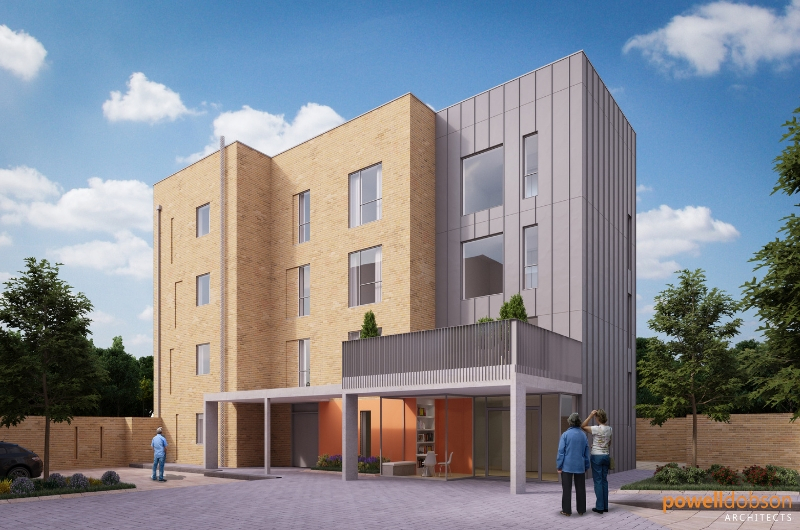 Aimed primarily at over 55s age group, and those with accessibility needs, it has been designed to create a close-knit community of apartments and promote social inclusion. Our scheme recently won a design award at the Welsh Housing Awards. WWH is working with Cardiff Accessible Homes to create homes to meet the needs of people who have been waiting a long time for such homes. The homes will be affordable to rent and accessible to people with mobility problems. We are taking design advice from specialist organisations including the Alzheimer’s Society and RNIB. Built in five blocks the scheme has 16 ground floor flats and all flats have wider doorways and wet rooms with a spacious open plan kitchen, dining and living room area. There will also be a lift to all floors and storage and charging points on the ground floor for mobility scooters. Construction work is going well and contractors, Hale Construction, aim to complete the scheme ready for the first residents to move in early next year. The development of four and five-storey blocks will create a community of 82 one and two bedroom apartments with communal balconies and social areas, where residents can meet up and make friends. There is also off road parking. Llanishen is a popular suburb of Cardiff with a vibrant community of shops, leisure facilities, employment opportunities and support services. There is a bus stop and train station on the doorstep with regular links to the city centre and nearby communities with the aim of reducing car use for residents. Ground floor apartments are being offered to applicants on Cardiff Accessible Homes’ register and shortlisting will start this summer for first floor apartments and above. Anyone interested in moving to Pentland Close, Llanishen, can apply to the Common Housing Register. Wales & West Housing residents can request a transfer application form to join the register by contacting our Housing Options Team on 0800 052 2526. Alison is our PR & Marketing Officer for South & West Wales.